One card, two challenges. Now that's the way to get things done! 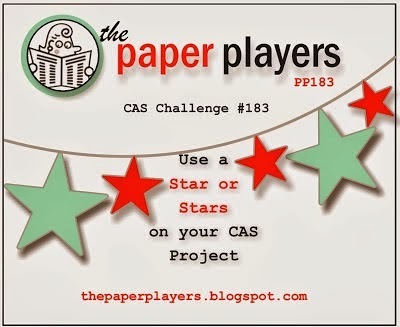 I liked the sketch over at CAS Colours and Sketches and I liked the theme of using stars over at The Paper Players. And, I'm in a blue mode again and used only blue and vanilla for my Happy Whale card. I love double-sided patterned paper. One side had the stars and the other side was solid blue. Here is where you can find the sketch from CAS - Colours and Sketches. The Paper Players challenge can be found Here. I like how you used the star shape with the rhinestone to create the whale's eye - it coordinates perfectly with the designer paper. Thanks for sharing your card with us at CC&S! 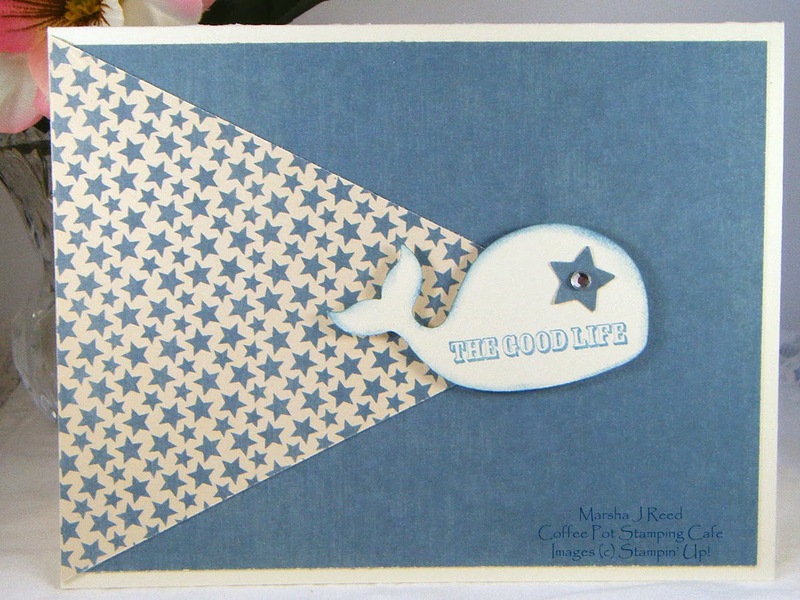 An adorable card...love that starry paper and your little whale looks like he is just parting the waters! So glad you could play with my starry challenge this week! Cute card! Thanks for joining us at CAS Colours & Sketches! Cute CAS creation! Love the starry paper and that cute little whale. Thanks for sharing with us at The Paper Players, Marsha! Darling card, Marsha! What a great take on the sketch and the starry paper is perfect for our challenge...love that little whale! Thank you for joining us at The Paper Players!